A North Wales brewery scooped a prestigious award in tonight’s Champion Beer of Britain Awards. Heavy Industry Brewing based at Henllan won the strong bitter category with its ale, 77, at the awards staged at the Great British Beer Festival in London. Founder Tom McNeill set up the brewery in 2012 after completing a course in British Brewing Technology at Brewlab in Sunderland. He learned he loved brewing cask ales and worked for the summer of 2009 at Purple Moose Brewery in Porthmadog. There, he learned about running a brewery. Heavy Industry Brewing started out with a ten barrel brew kit and now produces 10 beers including 77, Diawl Bach, Nelson’s Eye, Pigeon Toed Orange Peel, and Dr Jekyll’s Last Waltz. The winning beer, 77, is an amber IPA brewed with pale and crystal malts and has a flavour of dark Seville marmalade spiked with pepper. Find out more about the brewery here. It was a good night for Welsh brewers. Aberdare’s Grey Trees Brewers picked up a silver in the golden ale category for Digger’s Gold. Newport’s Tiny Rebel Brewery – the winner of last year’s champion ale title with its beer Cwtch – picked up two awards. It won silver in the bitter category for Hank, and joint bronze in best bitter category for Cwtch. 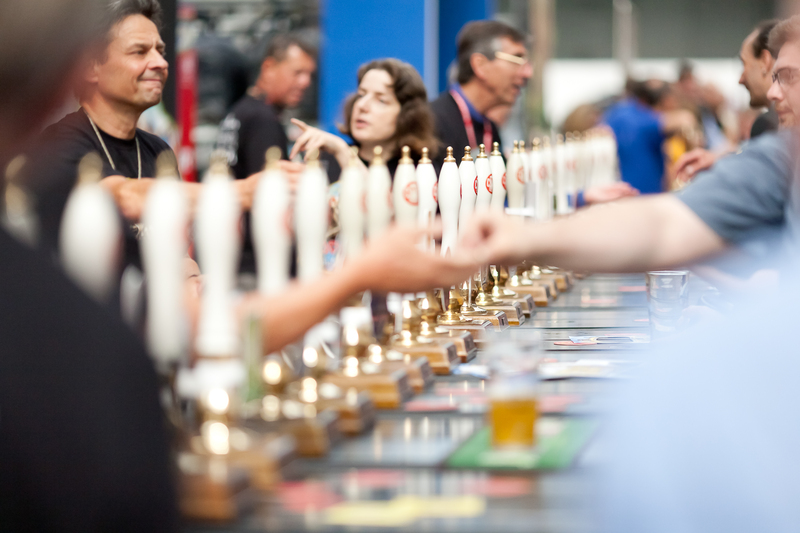 The Great British Beer Festival is run by CAMRA, the Campaign for Real Ale. This year’s supreme champion brewery is Bingham’s of Runscombe in Berkshire for its Vanilla Stout. MARIA WILLIAMS IS A COPYWRITER, BLOGGER, PR, AND JOURNALIST. VISIT HER WEBSITE HERE. The owners of Newport’s Tiny Rebel Brewery are celebrating today after winning the title of Champion British Beer with their ale, Cwtch. The prestigious award comes at the Great British Beer Festival in Olympia, London, run by the Campaign for Real Ale,where there are 900 real ales, ciders, perries and international beers. There are 350 British breweries featured.